This product is expected to ship on Wednesday, April 24 if you place your order within the next 17 hours and 41 minutes. 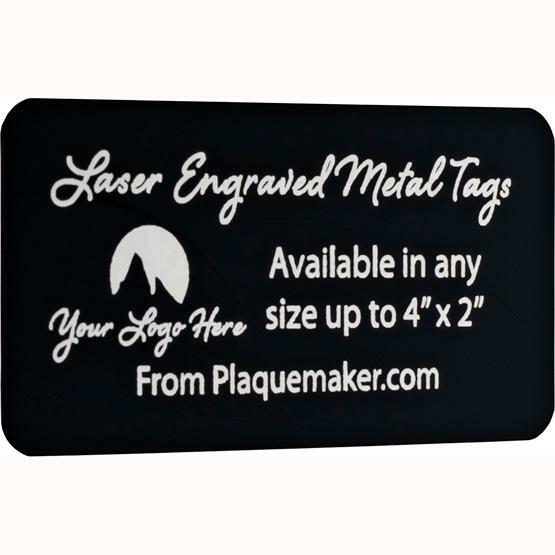 Create engraved laser metal custom name tag badges at PlaqueMaker. 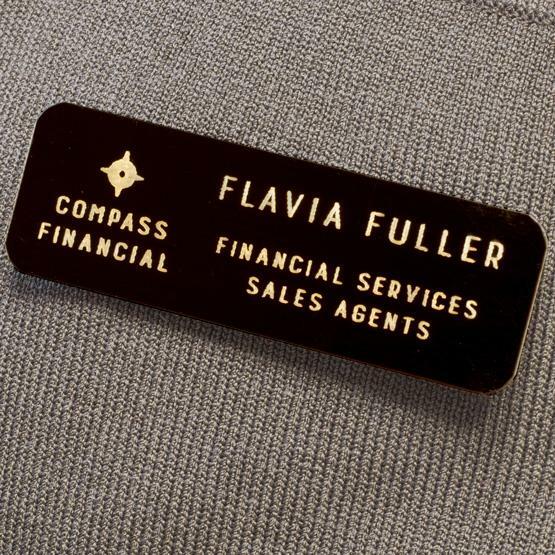 Give a professional impression with our laser metal name tags. 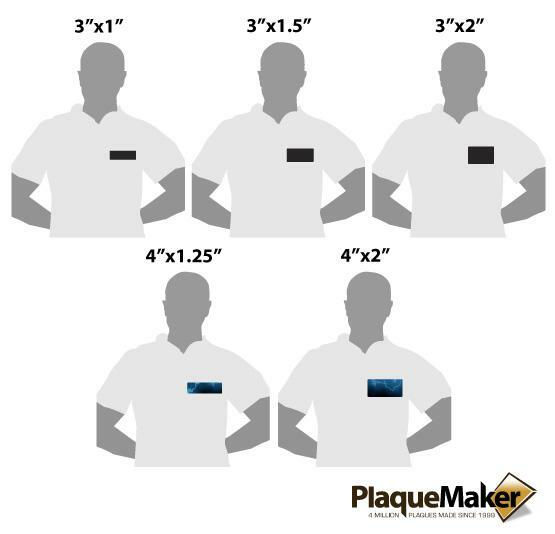 Clients will easily be able to identify your name or title, or whatever text you require.These tags also work great as small signs or labels. I recently had a very good experience ordering new name tags for staff. The process was easy, the order came quickly, and they look beautiful! Great job! I was very pleased with the plaque I ordered. It was exactly what I wanted and expected, at a reasonable price, and fast service. We were very happy with the quality of this magnetic badge, We will definately use this company in the future when we need products that are offered.